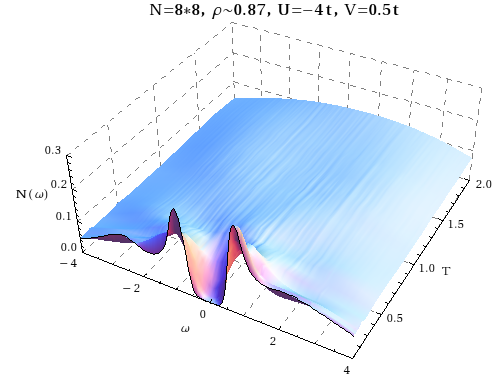 Comparison of the density of states N(ω) for one disorder realisation but different disorder amplitudes, as a function of temperature. 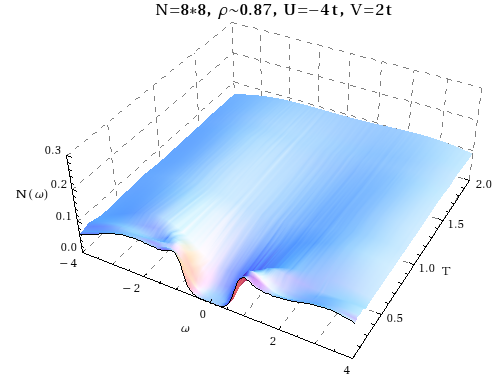 Only the superconductor in low disorder case (left panel) shows sharp peaks at the gap edges. Both exhibit a pseudogap behavior.The temperature evolution of the magnitude of the gap is similar between these cases, indicating a common physical origin. 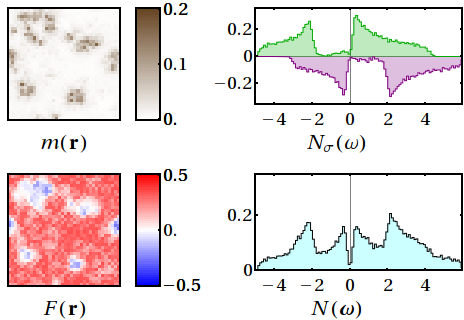 Magnetization m(r), pairing density F(r), and up-spin, down-spin, and total densities of states for a 2D attractive Hubbard model exhibiting a dirty LO state.